There are hundreds of online tools, programs and smartphone apps designed to help manage your social media presence. Some focus specifically on Twitter, but many work with Facebook, LinkedIn, Google+ and more. It would be impossible to cover every tool within this guide, so we’ve chosen a small sampling of some our favorites. TweetDeck is a social media dashboard originally developed by an independent team but later acquired by Twitter. Its key feature is the ability to organize Twitter feeds from multiple Twitter accounts into convenient, auto-scrolling columns. You can use these columns to stay up-to-date with the newsfeeds of those you follow, Tweets that match search queries, mentions of your Twitter username, your direct messages, latest activity, your favorited Tweets, Tweets from those in specific Twitter lists, and more. You can also perform some of Twitter’s more basic tasks without needing to sign-in to multiple accounts on the web. This includes Tweeting, retweeting, favoriting Tweets, and more. Essentially, TweetDeck allows you to do and see everything on Twitter, without having to navigate the website itself. Best of all, it’s entirely free! For users interest in taking advantage of features like these on additional networks, Hootsuite is as good alternative. It’s free for up to five social profiles, and plans for those that need more start at $9.99 per month. 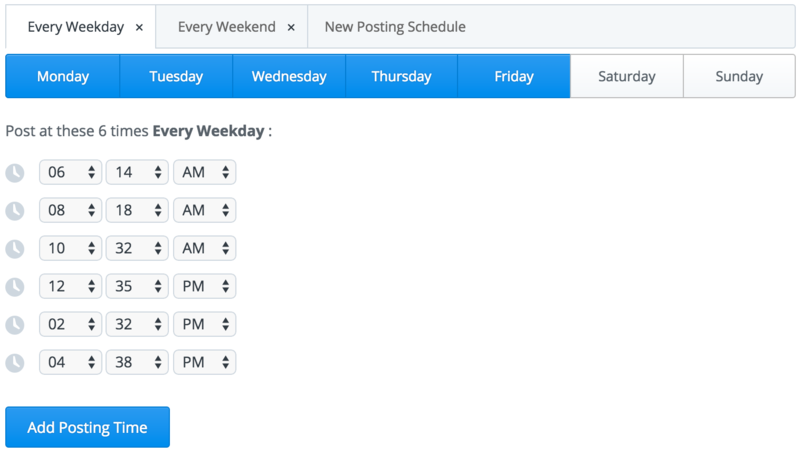 Buffer allows users to schedule updates to their Twitter, Facebook, LinkedIn, and Google+ accounts. The difference between scheduling Tweets in Buffer compared to TweetDeck is that Buffer allows users to create a posting schedule, where any Tweets you add to your queue are shared during the next available slot in your schedule. This allows you to pre-load several updates and stagger them during the time of day you know your audience is most engaged. Buffer was designed to keep social media accounts active and consistent with scheduled updates. As a result, it doesn’t have the same social monitoring tools as TweetDeck. It does, however, feature some helpful analytics for the Tweets you send. Pricing for Buffer starts at $10 per month. Business and enterprise accounts are also available. Audiense is a Twitter management tool for businesses that provides deeper insight into your audience and engagement. Fine-tune your target audience to those who have a real interest in your business. You can discover new followers, segment your followers, import your email database to find with leads and customers on Twitter, target influencers, and geo-target your Twitter community. Customize, optimize, and personalize your engagement. Audiense makes it possible to discover the best time to Tweet, find users most engaged with your Tweets, formulate direct messaging campaigns, and tailor content based on your audience’s interests. Unlock in-depth insights about your Twitter community and content by analyzing your statistics, Tweet analytics, performance benchmarks, competitor analysis, and follower retention. Create customized campaigns to monitor, automate, search, filter, manage lists, and follow or unfollow members of your Twitter community. Pricing for Audiense depends on your number of contacts and the features you need. The features mentioned above, with a 50,000 contact (follower) limit, are included in the $39/month plan. Agency and enterprise plans are also available. For those interested in automating their social media presence, there’s IFTTT (If This, Then That). IFTTT is a free service that allows users to automate activities using “recipes” in the following format: IF [TRIGGER HAPPENS] then [ACTION HAPPENS]. You can create recipes for Twitter to post a new Tweet, send a direct message to yourself, update your profile picture, and more when triggered by specific events. Add a user that mentions your username or a specific keyword to a list. Tweet a specific message to new people that follow you on Twitter. Sends a thank you Tweet to anyone who Tweets a link from your website. Retweet a user that compliments your business on Twitter preceded with “thanks!”. Email yourself when a user mentions you or a specific keyword in a Tweet. Update your Twitter profile photo when you update your Facebook profile picture. Log all of your Tweets in a Google spreadsheet. Tweet new items from an RSS feed to your Twitter account. You can browse the Twitter channel to see examples of great IFTTT recipes you can create with your Twitter account. You can also check out Zapier as a premium alternative to IFTTT. They offer additional business tools and networks to connect to with your Twitter account. The previously mentioned tools, along with the following all range from free access to paid professional services. You’re encouraged to try them out and see what works best for you! Zapier is similar to IFTTT in that you can trigger different actions between apps. 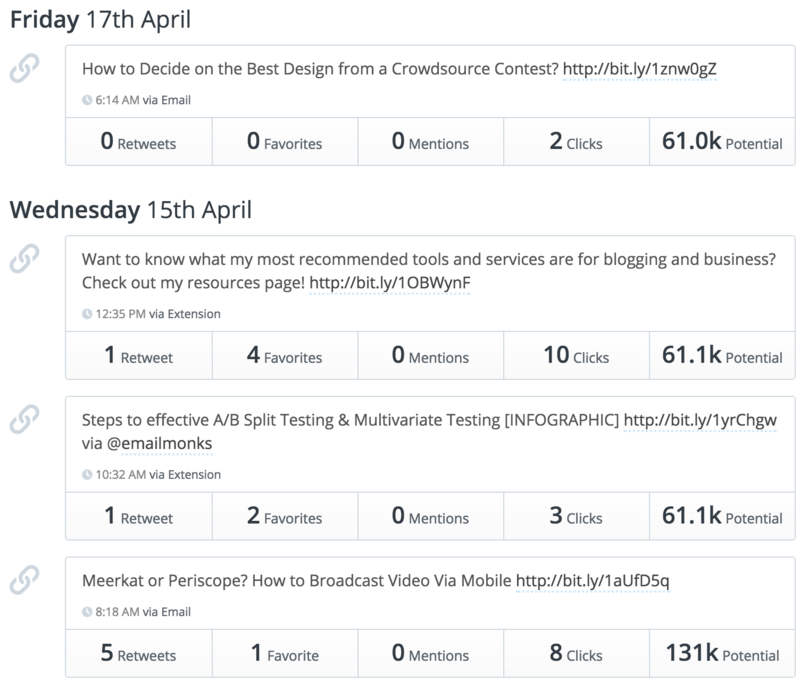 Keyhole is great for tracking keywords and hashtags on Twitter (and Instagram too). Twitonomy offers similar analytics to Twitter’s on tool; however, there are a few features and functions that take your data crunching to the next level. Hootsuite makes it easy for your to publish and track Tweets on Twitter. Over time, as you add more social channels, you can use Hootsuite for them too. Sprout Social is also a great tool for tracking conversations and engaging with your audience. 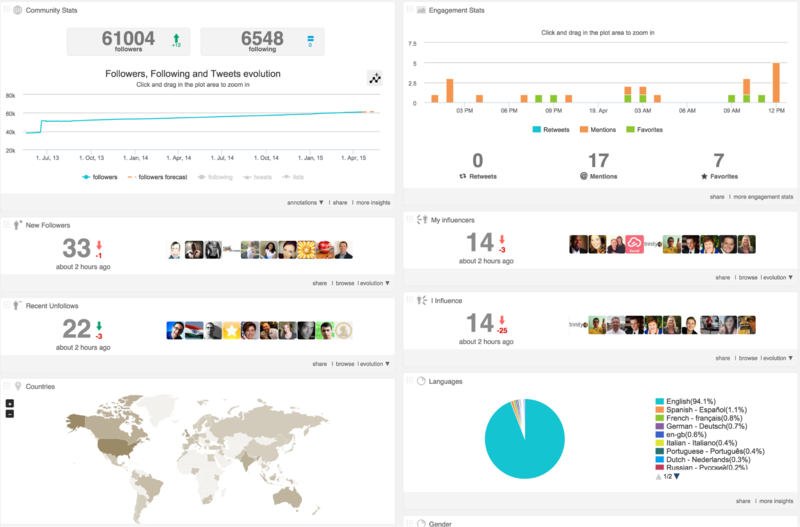 Followerwonk, Crowdfire, Buzzsumo, and Tagboard offer powerful trend-tracking and monitoring tools.